On Sunday December 16, SobeSavvy.com celebrated the 18th annual performance of Carolina Ballet’s The Nutcracker presented by PNC with magic sponsored by WRAL-TV. This family friendly show, performed at Raleigh Memorial Auditorium has become a Mommy & Me tradition for us. We both love performing arts and enjoyed seeing magic combined with ballet in this wonderful show featuring Tchaikovsky’s incredible music. Choreographed by Robert Weiss, Carolina Ballet presents The Nutcracker is not only “Magical.Magnificent.Mysterious”, but Unique because it features grand illusions by world renowned magician Rick Thomas as well as a live music by the Chamber Orchestra of the Triangle! My daughter, fondly referred to as #outandaboutAva, first saw this perfomance in 2016 when she was 5 years old. Now that she is 7 and has read The Nutcracker story, seen the Disney movie: The Nutcracker and the Four Realms, and learned the music in school, she was so excited to see this holiday classic! Carolina Ballet does an outstanding job working with the children from ballet schools across the Triangle as well as their own, The School of Carolina Ballet to perform this magical tale of holiday adventure based on a novel by E.T.A. Hoffman. The Nutcracker is one of the most recognizable scores in the ballet repertoire and definitely a performance the whole family should see because it appeals to the child in everyone! This enchanting tale, in which toys come to life and treats dance with delight, follows young Clara and her prince as they journey to the Land Of Sweets. It begins when young Clara receives a nutcracker from her godfather, a wizardly toymaker named Drosselmeyer. Sneaking downstairs to see the toy after everyone else has gone to bed, she suddenly finds herself caught in the middle of a pitched battle between the toys and an army of mice. After saving the nutcracker with a well-thrown shoe to the Mouse King’s head, Clara and her now-living prince venture into the Land of Snow and the Land of Sweets to celebrate. Throughout their adventures, Tchaikovsky’s dazzling inventiveness propels the dances of nimble flowers and regal fairy queens. The “Waltz of the Snowflakes” floats weightlessly whereas the “Dance of the Sugarplum Fairy” tiptoes to the haunting, music-box chimes of a celesta. A medley of exotic national dances—including a Spanish bolero and Russian Trepak—add to the phantasmagoric celebration before the whole dream ends, as all dreams must. When and Where is it playing? SobeSavvy Tip: Before/After the show or during intermission, you can get some holiday shopping done at The Nutcracker Boutique. You’ll find a variety of things like ornaments, socks or even a nutcracker of your very home to take home to be apart of your family traditions for years to come! Enter to WIN 2 Tickets !! Carolina Ballet presents The Nutcracker and SobeSavvy.com have teamed up to share a #SobeSavvygiveaway with you and give one winner a holiday memory that you will never forget! Enter for a chance to be awed by the magic and choreography of Carolina Ballet and win (2) tickets to Carolina Ballet: The Nutcracker at DPAC on Sat 12/29 at 7pm. Winner will be chosen by random.org on Dec.19, 2018 at noon. Update: Contest Closed. Congrats to Valerie Contreras, @hellominimama ! Have a wonderful time! Have you seen the new exhibition at NCMA yet? Recently, I shared with you my Top 5 Reasons To Visit North Carolina Museum of Art Inspiring Beauty: 50 Years of Ebony Fashion Fair Exhibition and I wanted to follow up with some related events you do not want to miss! I also have a #SobeSavvyGiveaway for one lucky reader to win a girls night out to a special event that I will share at the end of this post. Here are some upcoming events that I wanted to make sure you had on your radar to go check out. These popular ticketed events sell out quickly, so reserve your spot early! Visit mcartmuseum.org/ebony for more details. The 12 ensembles from the opening night fashion show event in celebration of the NCMA’s fall exhibition Inspiring Beauty: 50 Years of Ebony Fashion Fair is on display from November 5th thru 17th at Crabtree Valley Mall. You’re invited to an opening reception to celebrate this pop-up on Saturday, November 11 from noon to 2 pm, where the designers will be floating around to talk and answer questions, as well as representatives from the NCMA. Shoppers will have the chance to see the ensembles and snap a photo in front of a life-size magazine cover. You’ll be able to get an up-close look at the looks, including the three winners of the evening, in a pop-up fashion show! Whether you missed the opening event or were able to attend, this is a great way to see those fabulous ensembles from North Carolina’s rising designers again. Located on Lower Level A near H&M, the looks will be on view each day during mall hours (Monday through Saturday, 10am-9pm; Sunday 12pm-7pm). This is a FREE EVENT and open to the public. There is something for everyone to enjoy and themes to explore while viewing this exhibit. Because I am a mom of a young fashionista, I was happy to see that NCMA had youth/family programming and workshops developed for Inspiring Beauty. On November 4th, my husband and our daughter enjoyed a Daddy-Daughter date at NCMA for Family Fun Saturday: Couture Cloth. Inspired by the colors and patterns found in the clothing on view in Inspiring Beauty: 50 Years of Ebony Fashion Fair, families with children ages 5-11 created their own patterned and printed fabric to make a dynamic work of art! Our little one had so much fun using materials to stamp, write, iron and paint onto her own masterpiece. In December 9’s workshop, participants will cut, shape, and build a wearable artwork fit for the runway. This family friendly workshop is $5 for Members, $8 Nonmembers and held in the East Building, Education Studios. SobeSavvy Tip: Let your college student know there is a Free College Night on Friday, November 17, 7-10pm. Admission is free with college ID. No ticket required. This event will pay homage to the five decades of fashion on view in Inspiring Beauty and will feature student work, contemporary dance, and a DJ. Students are encouraged to dress for the runway! Grab your girls and get ready to twirl in your best gowns on Thursday, November 30 at 6:30 pm in the East Building for a special event~ “Behind the Seams–Girls in Gowns in the Gallery”. You’ll have a chance to stroll the galleries, enjoy a cocktail, have your lip print analyzed, tour Inspiring Beauty and much more! . Cocktail and treats included. Event ends at 9pm. #SobeSavvyGiveaway: Behind the Seams–Girls in Gowns. One lucky winner and her guest will enjoy an ultimate girls night out! 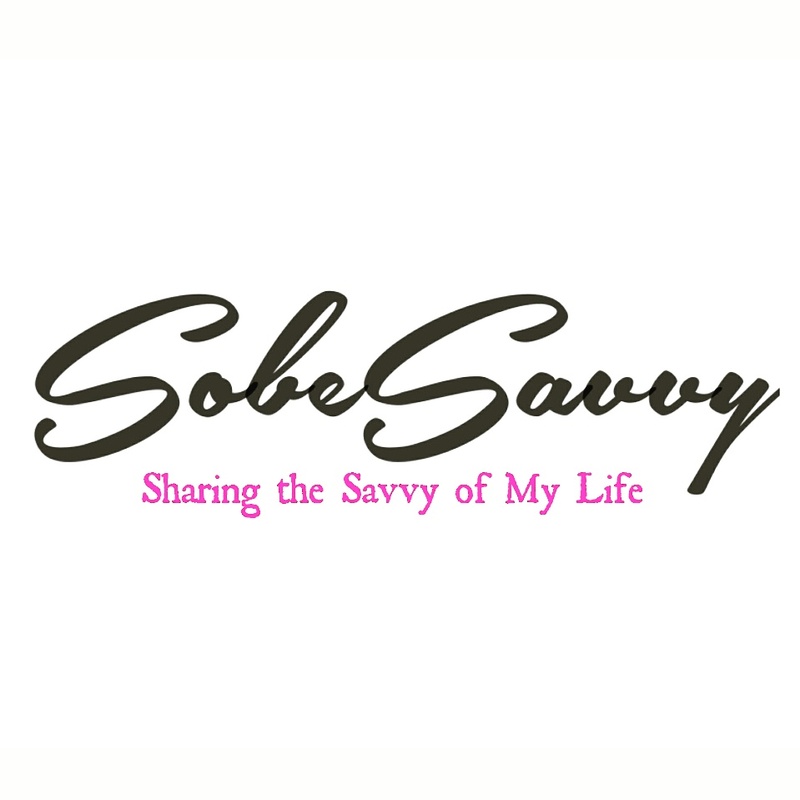 Enter SobeSavvy Giveaway>>>HERE. Winner will be chosen randomnly on November 16, 2017. GOOD LUCK! Be sure to follow @SobeSavvy, @NCartmuseum and share your experience on social media using hashtag #NCMAebony. I am excited to attend the ‘Behind the Seams–Gurls in Gowns in the Gallery’ and will be sure to share some highlights with you. Stay tuned and remember to support the arts! SobeSavvy Tip: Go one hour before the show for a “Grace” inspired gallery hunt in the Museum, to create your own campaign button to take home and pose for a selfies as a future North Carolina Hall of Fame-er! #SobeSavvyGiveaway Details: In partnership with Raleigh Little Theatre, I am giving away 4 tickets for 1 winner to enjoy this family friendly show on Friday, October 20, 2017 at 7:30pm . To enter, click >>>HERE. Winner will be chosen randomly on October 13. What’s the first country that comes to mind when you hear the word Whisky?Ireland? Scotland? How about Japan?! Yes, the Japanese have quietly been making and distilling top notch whisky now for almost 100 years. The Japanese brand Yamazaki has a single malt that actually won “World Whisky of the Year” in 2014. SobeSavvy Giveaway: One lucky SobeSavvy reader will be randomnly selected to win a pair of tickets to this exclusive one night only event. Click on this link >> here << and follow the instructions to enter. Contest ends on Monday October 9, 2017. Join me and others as we raise our glasses to Japan’s finest offerings at Whiskey Kitchen! I am excited to learn more about Japan’s reinterpretation of a spirit I enjoy at a restaurant that always serves inspired cuisine with a southern flair. Hope to see you there! “Gannbatte Kudasi“..that means Good Luck in Japanese !